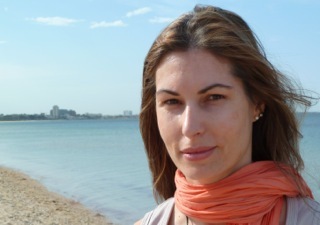 Australia Counselling member Alexandra Bloch-Atefi is a Melbourne counsellor and psychotherapist who has an interest in stress management and giving her clients practical and powerful tools to help them get back in control of their lives. Alexandra works holistically and is particularly interested in helping her clients release unconscious blocks so they can live fulfilling and rewarding lives. My practice is in Armadale, Melbourne. I mainly work with women and men who are facing life transitions, feeling stuck, wanting to learn tools for stress relief or looking to add meaning to their lives. I offer individual sessions but also run stress relief workshops for groups. How did you become interested in counselling and working as a psychotherapist? I have always been interested in helping people and always been curious about the underlying story behind peoples’ behaviours and actions. I believe that safe, empowering psychotherapeutic work can make a difference. From my own experience I know how powerful it is not only being attuned and listened to but also to be given tools you can easily apply in everyday life. How do you believe people change and what supports long-lasting change? I think change is a process that needs to happen gradually. It’s important to start with small manageable adjustments that can be easily enough maintained in your everyday lifestyle. I am also a strong believer in setting up your environment in a way that helps to support that change. For example, have short meditation recordings on your phone you can listen to during breaks and program reminders into your phone to check in with your breathing. My work focuses on integrating thinking and feeling and uses techniques that help to remove unconscious blocks that prevent us from letting go of unhelpful patterns and beliefs. I employ tools that have been found effective in current research in mind-body healing like bi-lateral stimulation, bi-lateral drawing, muscle testing, mindfulness and meridian tapping. I also work with different parts of the self to integrate aspects of the self that may have been split off and to strengthen the relationship with the authentic self. These holistic approaches are effective as they work with the whole person and address underlying beliefs and secondary gains which lack of addressing is also the reason why breaking habits or making changes fails. In a first session I try to get an overview of the main issue the client wants to work on and what they hope to get out of the sessions. What clients share is completely voluntary, they will only be asked to share things at a rate that feels comfortable for them. Sessions will be different depending on individual needs but I usually provide clients with a tool such as tapping, mindfulness or a relaxation exercise so they have an immediate coping resource. I love doing Yoga. I feel that Yoga supports mind-body healing in several ways. It increases body- and breath awareness, self-compassion, strengthens the “inner witness” and helps calm the nervous system. If you can breath through challenging poses you may also be able to stay calm and grounded in stressful life situations. I also paint in my spare time which is a great way to express and release what might be difficult to put into words but also to gain different perspectives. If you would like to book a counselling session with Alexandra in Melbourne, please visit her profile or website.